Sheila is the owner and lead teacher at Johns Creek Yoga in the suburbs of Atlanta, GA. She has been practicing yoga for almost 20 years. In addition to daily classes, she leads Yoga Teacher Training at both the 200 and 500 level, and she hosts retreats both locally and internationally. Her life is an endless adventure, every day a new challenge, a new experience, a new joy, a new invitation to dive a little deeper. Her classes are focused on alignment and infused with spirit and soulful exploration of the body, but they are also light-hearted and fun. She relishes the playfulness of the practice and encourages her students to be fearless and attempt new things in a safe and supported atmosphere. As a former Professor of American literature, Sheila loves to explore the connections between philosophy, poetry, religion and yoga in her own life and in the way she guides her students. 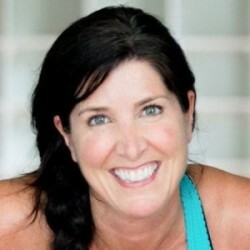 Sheila trained at Kripalu Yoga in MA, and has studied with many of the best teachers in the world. She continues to take advantage of every opportunity to train and learn and will forever consider herself a student of this beautiful and ancient practice.